Kenya « What Happened to the Portcullis? The first standard gauge railway cargo train arrived in Nairobi on Monday at the ultra-modern inland container depot which was launched by President Uhuru Kenyatta a fortnight ago. The arrival of the cargo train is in line with President Kenyatta’s promise to reduce the cost of doing business in the country. In his New Year message, President Kenyatta said the new commercial cargo train would cut costs and delays in trade for Kenyans and its neighbours. The President said the delivery of a world-class railway on time and within budget, would attract world-class manufacturing and value-addition investments, which are critical to creating jobs and business opportunities. The cargo train carried 104 containers, which is almost equivalent to the trucks operating daily on the Mombasa-Nairobi highway. While the meter train used to carry twenty to thirty containers, the standard gauge train will carry 216 containers. Four trains will operate daily and later increased to eight cargo trains. Source: The Daily Nation (Kenya), 1 January 2018. AGOA – a Poisoned Chalice? “Is the Africa Growth and Opportunity Act (AGOA) always a poisoned chalice from the United States of America?”, asks an editorial in The East African. The Kenya newspaper suggests it appeared to be so after the US allowed a petition that could see Tanzania, Uganda and Rwanda lose their unlimited opening to its market. This follows the US Trade Representative assenting last week to an appeal by Secondary Materials and Recycled Textiles Association, a used clothes lobby, for a review of the three countries’ duty-free, quota-free access to the country for their resolve to ban importation of used clothes, the The East African continues. The US just happens to be the biggest source of used clothes sold in the world. Some of the clothes are recycled in countries like Canada and Thailand before being shipped to markets mostly in the developing world. In East Africa, up to $125 million is spent on used clothes annually, a fifth of them imported directly from the US and the bulk from trans-shippers including Canada, India, the UAE, Pakistan, Honduras and Mexico. The East Africa imports account for 22 percent of used clothes sold in Africa. Suspending the three countries from the 2000 trade affirmation would leave them short of $230 million in foreign exchange that they earn from exports to the US. That would worsen the trade balance, which is already $80 million in favour of the US. In trade disputes, numbers do not tell the whole story. Agoa now appears to have been caught up in the nationalism sweeping across the developed world and Trumponomics. US lobbies have been pushing for tough conditions to be imposed since it was enacted, including the third country rule of origin which would require that apparel exports be made from local fabric. The rule, targeted at curbing China’s indirect benefits from Agoa through fabric sales, comes up for a legislative review in 2025, making it prudent for African countries to prepare for the worst. Whether that comes through a ban or phasing out of secondhand clothing (the wording that saved Kenya from being listed for a review) is immaterial. What is imperative is that African countries have to be resolute in promoting domestic industries. In textiles and leather, for instance, that effort should include on-farm incentives for increasing cotton, hides and skins output, concessions for investments in value-adding plants like ginneries and tanneries and market outlets for local textile and shoe companies. The world over, domestic markets provide the initial motivation for production before investors venture farther afield. Import bans come in handy when faced with such low costs of production in other countries that heavy taxation still leaves those products cheaper than those of competitors in the receiving countries. The US has also been opposed to heavy taxation of used clothes, which buyers say are of better quality and more durable. For Kenya to be kept out of the review, it had to agree to reduce taxes on used apparel. These factors have left Agoa beneficiaries in a no-win situation: Damned if you ban, damned if you do not. With their backs to the wall, beneficiaries like Tanzania, Uganda and Rwanda have to think long term in choosing their industrial policies and calling the US bluff. Last year, one of Kenya’s most adored elephants, Satao, was killed for his ivory. Poachers shot the bull elephant with a poisoned arrow in Tsavo East National Park, waited for him to die a painful death, and then hacked off his face to remove his massive tusks. Poachers continue to kill an estimated 30,000 elephants a year, one every 15 minutes, fueled to a large extent by China’s love of ivory. Thirty-five years ago, there were 1.2 million elephants in Africa; now around 500,000 remain. A recent documentary, 101 East, released by Al Jazeera, traces the poaching of elephants and smuggling of ivory from Tanzania’s port of Dar es Salaam through the port of Zanzibar to Hong Kong and Shanghai. Hong Kong is one of the busiest ports in the world. It handled nearly 200,000 vessels last year and is a key transit hub for smugglers transporting ivory from Africa to China. Between 2000 and 2014, customs officials seized around 33 tons of ivory, taken from an estimated 11,000 elephants. With the huge challenge faced by customs and other law enforcement agencies in West Africa, wildlife crime is on the rise. Regional traffickers and organized crime groups are exploiting weak, ineffective and inconsistent port controls throughout the region. To address the issue, the United Nations Office on Drugs and Crime (UNODC) organized a workshop in Accra, Ghana, from August 25 to 27 August, and in Dakar, Senegal, from August 31 to September 2. The objective was to provide training for national law enforcement agencies to better fight wildlife crime through the control of maritime containers. The workshop was led by trainers and experts from UNODC, the World Customs Organization (WCO) and the CITES Management Authority. The Container Control Programme has been developed jointly by UNODC and WCO to assist governments to create sustainable enforcement structures in selected sea and dry ports to minimize the risk of shipping containers being exploited for illicit drug trafficking and other transnational organized crime. The implementation of the program is an opportunity for UNODC to work with governments in establishing a unit dedicated to targeting and inspecting high-risk containers. UNODC, in partnership with WCO, delivers basic training programs and provides technical and office equipment. 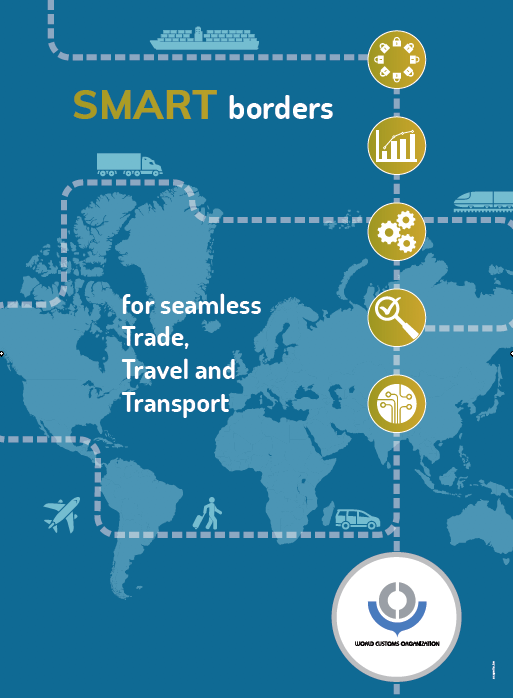 For example, the equipment connects the units to the WCO’s ContainerCOMM – a restricted branch of the Customs Enforcement Network dedicated to sharing information worldwide on the use of containers for illicit trafficking. Wildlife trade is a transnational organized crime that raises profits of about $19 billion annually. In addition, it is often linked to other crimes such as arms trafficking, drug trafficking, corruption, money-laundering and terrorism – that can deprive developing economies of billions of dollars in lost revenues. 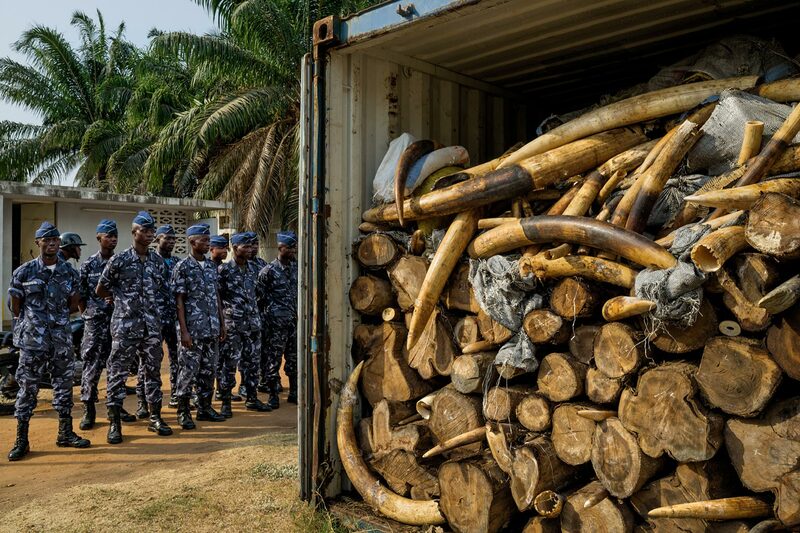 It’s hardly surprising that many of the big ivory seizures made in recent years have been detected in shipping containers, says Dr. Richard Thomas, Global Communications Coordinator for the environmental organization TRAFFIC. “Partly that’s due to the sheer quantity of ivory being moved (the largest-ever ivory seizure was 7.1 tons) – which from a practical and cost point of view makes sea carriage more attractive than air carriage. There’s lots of issues to be dealt with, says Thomas: For example, even when an enforcement agency makes a seizure, it’s not easy to find out who actually booked the passage for the container and who knew precisely what was in it and actually put it there. “That’s one area where transport companies can collaborate with enforcement agencies to assist follow-up enquiries. Obviously companies have records of where the container is headed too, obviously key information for follow-up actions,” says Thomas. TRAFFIC recently ran a workshop in Bangkok under the auspices of the Wildlife Trafficking Response, Assessment and Priority Setting (Wildlife TRAPS) project, targeting the movement of illicit wildlife cargoes across borders. “The transport industry can serve as the eyes and ears of enforcement agencies as part of a global collaboration to eliminate the poaching and trafficking of illegal wildlife commodities,” said Nick Ahlers, Leader of TRAFFIC’s Wildlife TRAPS project. If nothing is done to stop the ivory trade, Africa’s wild elephants could be gone in a few decades. Source: Reuters.